Length: 7 feet, 2 inches. Medium knurling (No center knurl). An "Outstanding" all around Olympic Workout and Cross-Training Bar. 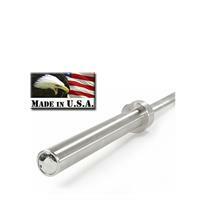 IVANKO's Iconic Olympic Bar in Stainless Steel. 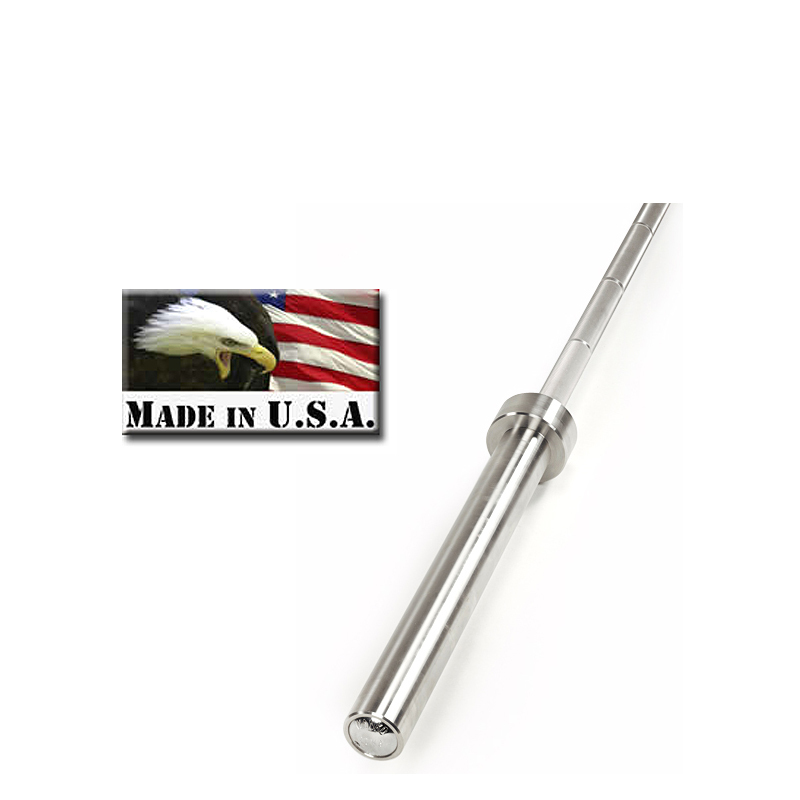 When your goal is just to sell a product, your Olympic bar design is finished when it's "good enough." When your goal is perfection, you're never satisfied, never finished. 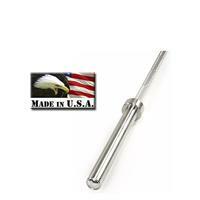 For example, a tensile strength of 150,000 PSI is "strong enough" for most manufacturers. We heat treat our stainless steel bar to 218,000 PSI, because our tests tell us anything weaker will bend. Most think bar stock is "straight enough" if it meets the mil standard of 89/1000 inch over the 7ft length of the bar. We further straighten our bar to a tolerance of 10/1000 inch, because anything less straight will cause rotational torque during heavy lifting. Most think there is a coating or plating that is "durable enough." We chose stainless steel because it needs no coating, so there's nothing to peel off, chip, or rust. Most think a bar is "safe enough" just because it's made of steel. 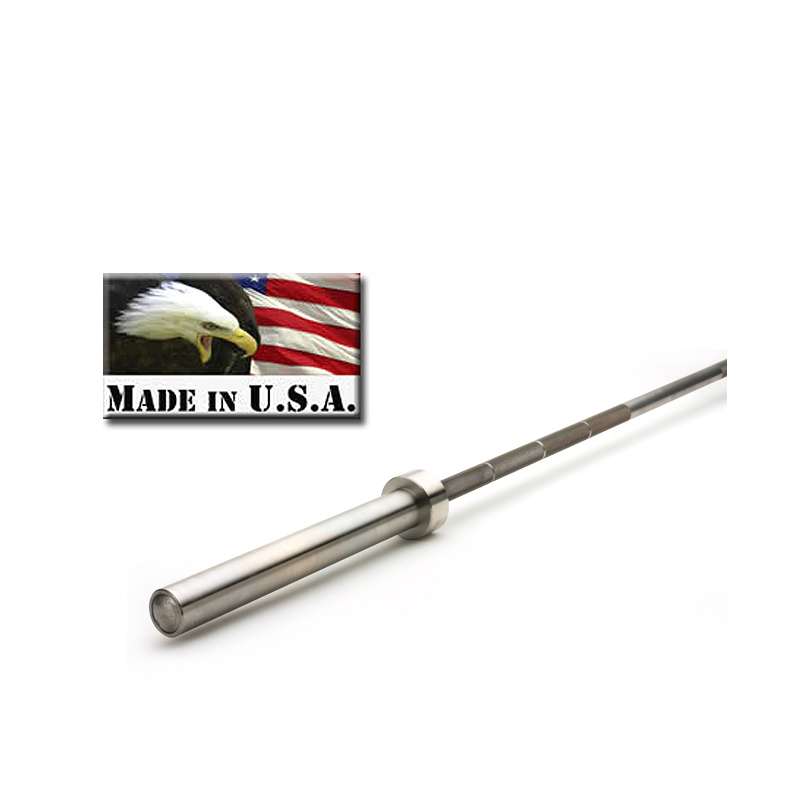 We ultrasonic test and magnetic particle test every bar to detect internal and external cracks and flaws because they can spread over time and cause the bar to snap. Ivanko products are not returnable unless there is a manufacturer defect which will be determined by Ivanko.